When you ask most Torah scholars the question of how many portion are in the Torah, the common answer is 53 but in fact the actual count is 54. 53 is numerically גן, ‘Garden’ that is the aspect of the connection to Binah that the Torah gives us. From the Garden of Eden the Light comes out to nourish the ‘Garden/גן’, Binah, that delivers the Light to Zeir Anpin, which is the Torah. 54 is numerically ‘דן’,’judge’ that is the aspect of Malchut where the Light from all the upper levels can be manifested. There are deep reasons to why there are two counts of portions. One explanation is that the portions of Nitzavim-Vayelech have together 70 verses and read together even on leap years, except when Rosh Hashanah falls on Monday or Tuesday. Another reason is that V’Zot Habracha is the last of the Torah, as a way to confuse Satan. If we completed the reading of the Torah on Shabbat then Satan would have easy time to sever our connection to the Torah because he’s always there is an ‘end’. We read the last portion on the holiday of Simchat Torah, which is the eighth day after we finish the seven days of Sukkot. Even if the holiday falls on Shabbat it is still in the frame of holiday and not Shabbat. Usually, we have special reading when any other holiday falls on Shabbat. On Simchat Torah we finish V’Zot Habracha and immediately read from the beginning of the Torah, Beresheet, the story of Creation. This important link keeps the Torah in endless cycle and pushes Satan away. Another reason is that the 54th portion of the Torah is about the ‘death’ of Moses. The Torah was written by Moses and it represents the ‘Life’ of the Tree of Life. No one was witness to Moses’s death, except for God. This is another reason to ‘conceal’ the 54th. Another reason for counting 53 portions is to conceal the blessings that Moses gave us. God puts it in the portion next to his death, even though it would have been proper to place the blessings in an earlier portion of Deuteronomy. 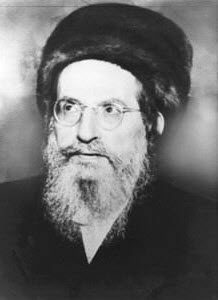 We learned that when a Tzadik leaves the world the Light he reveals is released in the world, creating a ‘cosmic’ event/impression that is repeated every year. We have that when we read the portion of V’Zot Habracha and on the death anniversary of Moses, the seventh of Adar (see our Tzadikim app). The Zohar above teaches us that after bringing 70 sacrifices to benefit the 70 nations of the world, God asks us to sacrifice on the eighth day one bull for the Israelites to have a special ‘feast’ with him. That day is Simchat Torah. As opposed to all other holidays that we celebrate using connection to corporeal things like Sukkah, Shofar, Matzah, Simchat Torah is all joyful spiritual connection. May we all be blessed with all the blessings written in the Torah and be protected from the chaos of this world. With humility I give thanks to God for bestowing his love and kindness on the Daily Zohar, allowing it to continue with another cycle of Daily Torah study from the Zohar. Many thanks to all of those who appreciate and support the DZ projects. They are the true spiritual partners of this work. New projects are in the works and B”H and with your support they will be available to all sooner than later. Love with a warm and long spiritual hug to each one of you.